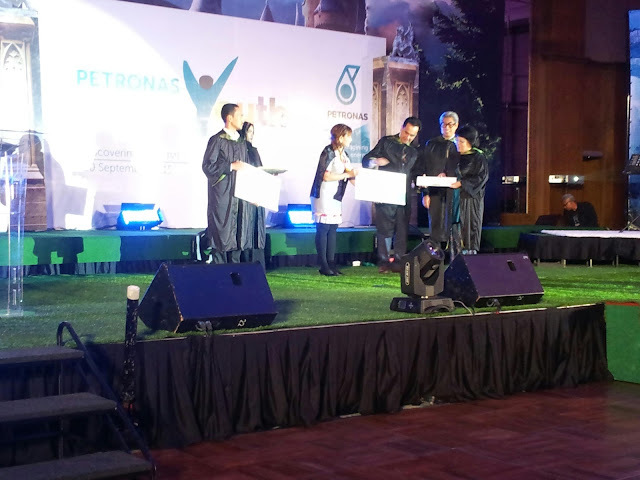 SMK TAMPARULI WINS RM50,000 GRAND PRIZE IN PETRONAS ALL ABOUT YOUTH 2015! 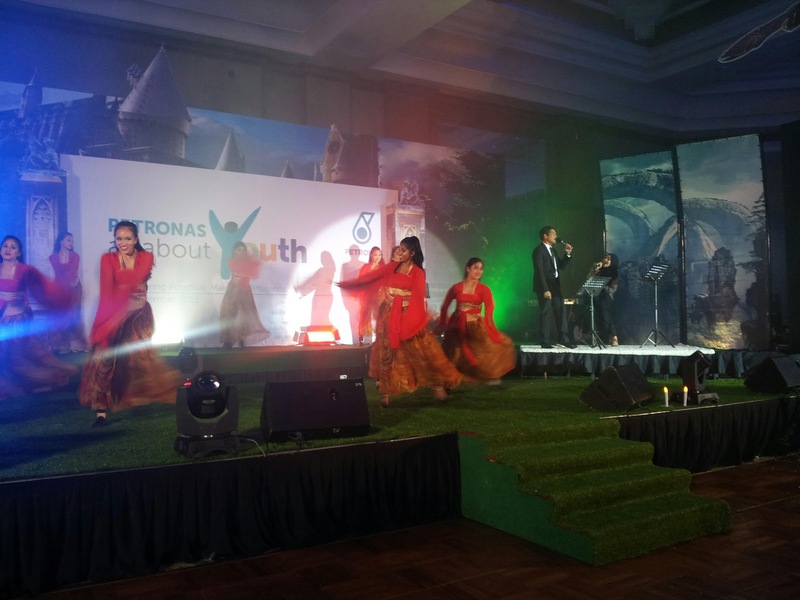 SMK Tamparuli from Tuaran, Sabah took centre stage when it was announced as the PETRONAS All About Youth (AAY) 2015 champion at the grand finale of the nationwide competition here. The team bagged the RM50,000 grand prize for the school’s refurbishment fund, while each team member received RM1,000 deposited into their National Education Savings Scheme (SSPN) accounts as well as RM200 worth of prizes, trophy and certificates. 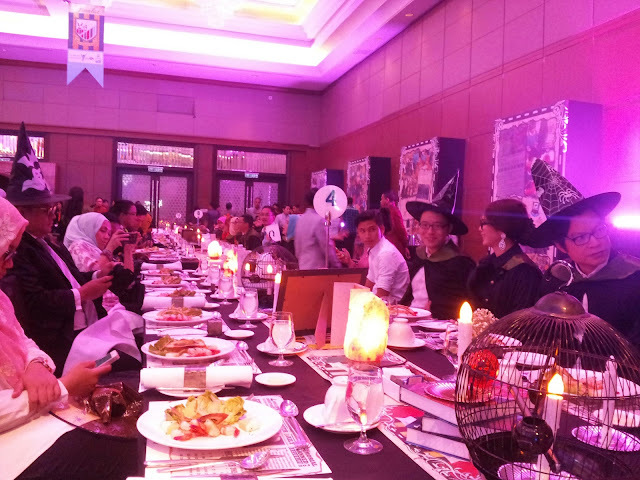 The prizes were presented at the gala dinner by the Director-General, Ministry of Education, Dato’ Sri Dr Khair Mohamad Yusof together with PETRONAS President and Group CEO,Datuk Wan Zulkiflee Wan Ariffin. “Congratulations to the winning team and all finalists for putting together so many innovative and impactful projects for their respective communities. 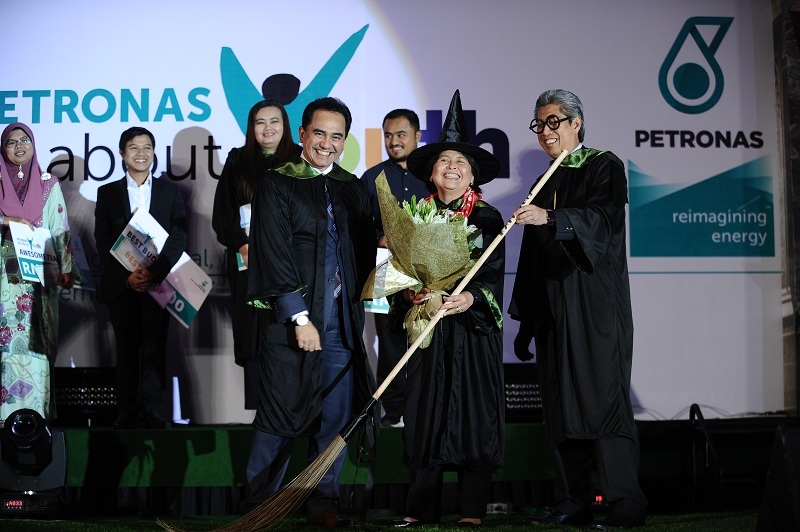 It is in our DNA to continuously empower the community through education and capability building,” said PETRONAS Persident and Group CEO, Dato’ Wan Zulkiflee Wan Ariffin. 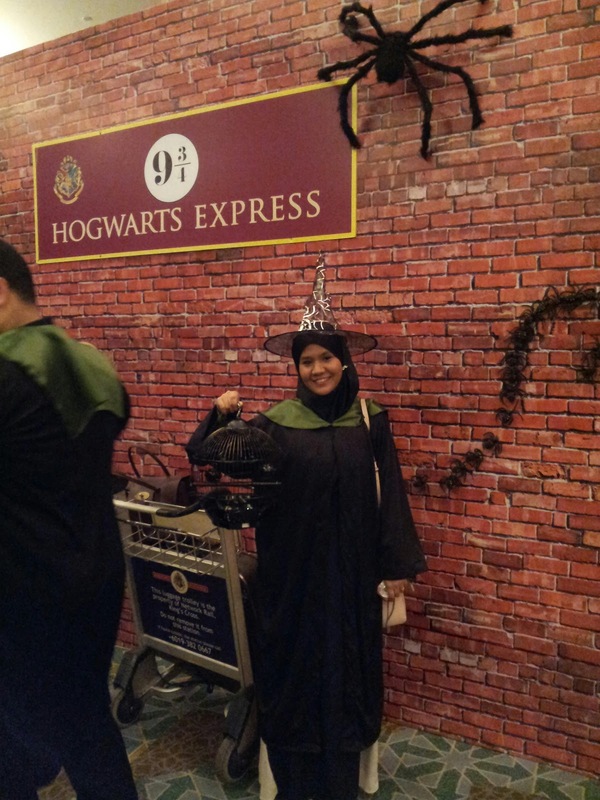 Over the years, PETRONAS has carried out countless capability and character building programmes for school children through experiential learning outside the classroom environment as part as its Corporate Social Responsibility (CSR). 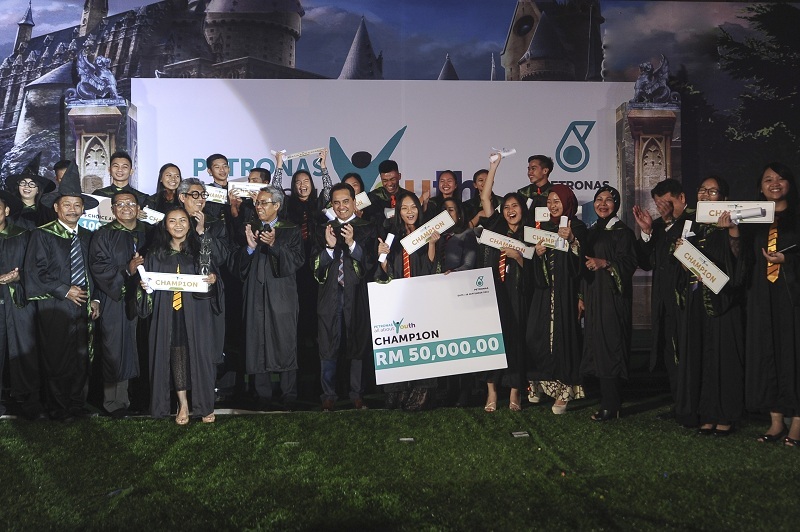 “When we first started the programme, PETRONAS wanted to empower youths to be the catalyst and driving force in creating positive change in their communities and the nation and PETRONAS AAY is testament of that commitment. We strongly believe that the programme will nurture a wholesome next generation and create a positive environment for our young ambassadors to realize their full potential,” added Dato’ Wan Zulkiflee. Dato’ Sri Dr Khair lauded PETRONAS’ effort in empowering youths and said, “PETRONAS All About Youth programme is an example for other corporations to emulate in developing impactful CSR initiatives. I believe the concept of youth empowerment that forms the backbone of this programme will be a trendsetter for the future.” Also present at the event was PETRONAS Talent Development Programme rider, Hafizh Syahrin Abdullah who shared his experience in making a difference to the lives of the people around him. The team from SMK Tamparuli made an impact with a project called “Awas! Bahaya Di Hadapan” (Caution! Danger Ahead), which saw the students create a flood alert system installed at the low-lying Tamparuli Bridge for the safety and convenience of people using the bridge. Built during the colonial era, the bridge is frequently inundated by flood water during heavy rain and poses danger to motorists. The alert system is built around a sensor that automatically activates an LED signboard on both ends of the bridge that flashes, “Awas! Bahaya di Hadapan”. The system also integrates with the nearest police station and alerts duty officers to close the bridge if the water rises to a dangerous level. “We are delighted to be the champion for PETRONAS AAY 2015 and thank the local authorities, teachers, parents, and everyone involved in the community for their support. We are grateful to PETRONAS for the opportunity that has unleashed so much hidden potential amongst our students. I believe this programme has done well in building positive character and social awareness to create a responsible and caring generation for the future,” said SMK Tamparuli’s Principal, Kusdi Ribut. SMK St Teresa from Kuching, Sarawak was 1st runner-up with each student receiving RM800 of savings in SSPN and RM200 worth of prizes, trophy and certificates while SMK Padang Midin from Kuala Terengganu, Terengganu won the third prize with each student receiving RM600 of savings in SSPN and RM200 worth of prizes, trophy and certificates. SMK St Teresa’s “Rimang Rami” project captured the judges’ interest as it involved the setting up of a recreational park, well-equipped with a playground that provides a safe and conducive environment for the community, on an idle piece of land. Meanwhile, “Warung Santalia” by SMK Padang Midin also impressed the judges as it saw the students creatively transform an abandoned security surveillance hut into a hive of commercial activity for senior citizens, single mothers and youths who now use it as a stall to sell home-made cakes, local dishes and burgers. The PETRONAS AAY, which has been endorsed by the Ministry of Education, is designed to nurture the students’ talents, leadership, thinking and presentation skills through projects that address the needs of their community and environment. The competition involved participation from 1,800 Form Four students from 90 schools in Sabah, Sarawak, Johor, Melaka, Terengganu and Kelantan. The PETRONAS AAY commenced in March with boot camps at the respective states followed by the award of a RM2,000 start-up fund for each school to complete their projects within six weeks. The teams presented their final projects at the state-level judging in August and were evaluated based on creativity, clarity of presentation, impact, originality and project sustainability. Overall I found that this is a great opportunity for the children to brainstorm the idea to help others from their early childhood stage..and this will be a great impact on their future where they will future leader who always concern towards others... Foremost the winner really gave the great help and impact towards their community with their project, so maybe next year other school should have an idea how to play this game right? Play Your Part, You Can Make A Different! How Funny Life Can Be?